When you move into a new home, there’s sure to be work to do to make sure you get it exactly how you want it. The same goes for the yard. yards can take a lot of work and become a lifelong project to maintain and develop, which can be a therapeutic hobby for many. After moving in, the yard may not be the focus of your energies, but after you’ve settled in you can turn to getting started. The following tips can help you get started on your new yard and make it one of the favorite parts of your home. One of the key things to note about getting started on a new yard is that it is not so quick to see results, especially if you intend to grow a lot of flowers and plants for yourself. Maintaining a yard is truly is a labor of love, and while it may take time for you to get it exactly how you want it, the end results will certainly be worth it. If you haven’t the faintest clue where to start and what you want your yard to look like, it’s time to get brainstorming. Take a look at some Pinterest boards dedicated to yards as a way to get started - you’ll find a lot of ideas for what plants to buy, yard furniture and creative elements you can bring to make your yard special. Home magazines are another place to find inspiration and visiting yard centers and stores can give you some ideas too. Making a scrapbook or a mood board will help you to keep your ideas on track. Once you’ve decided exactly what it is you want, you can now put a plan in place as to how it’s going to happen. Start off by making a timeline of how long each job will take, and put the shortest tasks at the top of your list - these can be done alongside the longer parts of your project or while you wait for other things to happen. Try and stay on top of your schedule so that you see progress quicker, which will help motivate you to finish the job. Some things are best left to the professionals - if you want a job done well, it may be worth hiring someone who can do the bigger jobs for you such as diggin flower beds or building a patio. Doing this will save you a lot less stress in the long run, but it’ll cost you more than doing it yourself. When you decide what to grow, make sure that you do it because you like it, not because you think you should have it or because it’s easy. Choose the flowers that you like and add the plants that you want as it’s you who will be looking at them, not anyone else. It’s also wise to choose plants and flowers that you know you have the time to maintain, as those which need a lot of TLC can suffer if you don’t give them enough attention. The internet is full of great advice on how and where to plant flowers to make sure they get the best chance to bloom. There are some easy way to turn your yard from drab to amazing. For example, laying down artificial turf is becoming more popular today as it allows you to maintain a neat, fresh-looking lawn all year round, making it easier to get use out of your yard and entertain without having to put a lot of work in first. You could also add some decking to give your yard a modern look, and give you a space that doesn’t need to be maintained all the time. Dotting plant pots around your yard is an alternative to having to dig up the soil and plant each one, and there are some great things you can do with ornaments to give your yard a chic and stylish feel. Investing in the right outdoor furniture can also add a modern or classic touch to your yard depending on your tastes. While a yard needs to look good during the day, it’s nice to have an attractive space you can enjoy at night too - especially if you plan on dining al fresco regularly. Lighting can really transform your yard and make it look like it’s leaped right out of a magazine. Some ideas for yard lighting include fairy lights or string lights, pathway lights as well as uplighting to create ambiance and mood. Lighting is an inexpensive way to dress up your yard, and if you choose battery operated or solar-powered lights, you won’t incur any additional costs on your electricity bills. After taking the time to design, plan and build the perfect yard, you need to make it secure. Investing in a good fence will mean that your property stays safe from potential intruders, that animals find it difficult to get in and perhaps most importantly, that children and animals find it difficult to get out. You can read more about different fencing options in order to make sure that the fencing you choose is right for your needs. 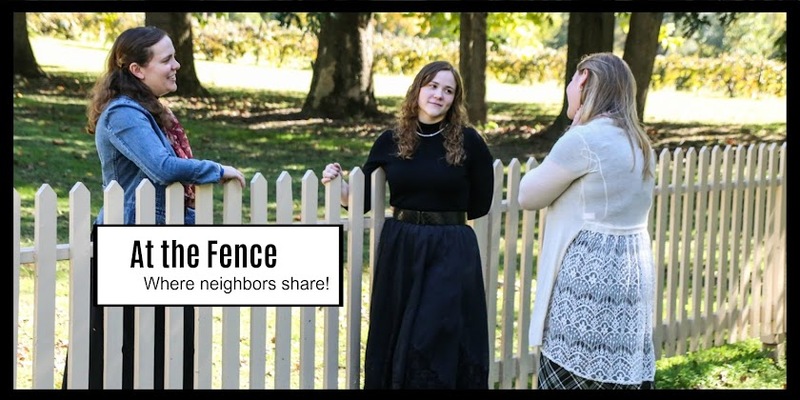 You may need to consult with your neighbors before you install a new fence. Now that the hard work is over, you now need to keep it up. A yard will need regular maintenance, which includes mowing the lawn, watering the flowers, getting rid of weeds and keeping patio furniture clean and presentable. These things take some time and are ideal for doing for an hour after work or on weekend mornings as a way to de-stress and get some much-needed vitamin D. If you haven’t got the time to maintain your yard personally, you can hire a gardener for a set number of hours a week to take care of the tasks you may not have time for. Like the inside of your home, your yard is a place that you can continue to develop and change according to your tastes. Over time you may wish to add a herb yard or vegetable patch, or maybe build a hot tub or yard shed - there are many possibilities available to you, as well as getting your yard ready for summer each year. However you decide to approach your yard, when the blood, sweat, and tears are over, you’ll have a space to be proud of and can enjoy relaxing and unwinding in the amazing space you’ve created.